I’m so excited. For my first author interview, the planets have aligned, resulting in the wonderful T.A. Miles accepting to be my first…victim, er…rather, interviewee. In some ways, I’ve always felt as though I’d found a (writing) kindred spirit in T.A. In chats and discussions, her views on writing and of her writing process always connected with me in a fundamental way so that I always left our chats excited and inspired. So it gives me great pleasure to have her on board with me today, and I hope that you, Reader, come to know and appreciate her and her work as much as I do. 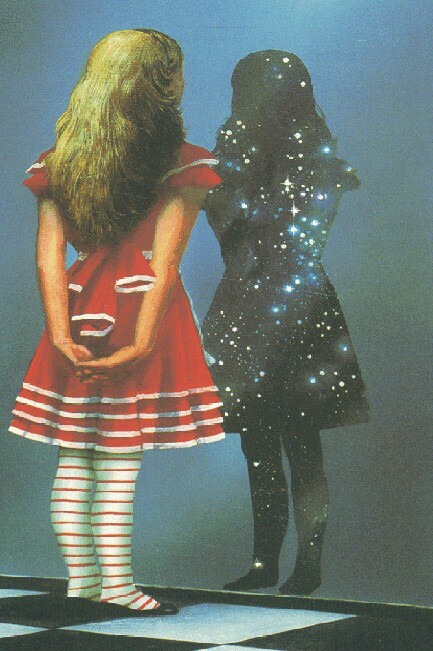 I invite you to hang around and to slink on down the rabbit hole with us as we explore the marvelous mind of T.A. Miles. 1- Can you start by telling us a little about yourself? 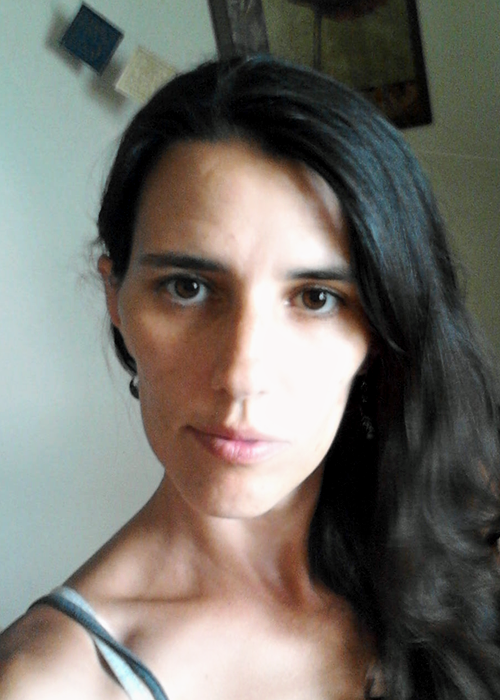 I’m an author, an editor, an illustrator, a dreamer, a crazy person, a partner in a life partnership, a lover of animals, and a devourer of music. I have Alice syndrome, which is curiosity to the Nth degree, which greatly fuels my imagination, my learning, and my randomness. I’m also a very independent person who likes to promote independence in others, especially regarding emotional freedom and creativity. I like to encourage and support others trying to share one of the most delicate and sensitive, and powerful aspects of themselves, which is their creativity. I think sometimes part of the reason I decided to publish independently was to show others that it can be done without remorse. Some technical details about myself: I’m from the American Midwest, raised for a bit in California. I’m formally educated in music and history, and independently studied in life and the things in life that pique my interest especially, such as languages, spirituality, and culture. I’m married to my best friend and together we’re raising a dachshund and a beagle. 2- From what I’ve seen, you seem to like to dabble in different forms of expression. Where does writing fit in, and why are you drawn to it? How did you get your start and what keeps you motivated/inspired? I’m someone who likes to try to do everything. I get inspired by something and then I want to pay tribute to the inspiration or express it in every way imaginable; writing, drawing, music…etc… I’ve been involved in literature, art, and music from a young age. I was frequently brought to the library and checked out books by the stack. I have difficulty sitting still mentally, so I would always have paper with me to draw or write on or I would have a book to read, or something wherever I went. When I’m reading, my characters are often reading with me or I’m considering how one of my characters might respond to the situation or character I’m reading about. Music really gets my characters going. Visual art pokes and prods along the threshold of my imagination, always stirring something up or inciting reaction from a character. Puzzles and games…video games… Really, it’s all about the characters. And they’re kept constantly at the front of my mind by everything that catches my interest. In fact, I go so far as to consider that some of the things catching my interest are, in fact, catching theirs and that’s why I noticed it at all. Part of keeping motivated and inspired is to literally carry these people with me everywhere. I never stop thinking about them because writing for me isn’t a hobby or a career even, it’s an all- encompassing passion. It’s such an intrinsic part of my emotional being that to not do it, or to not be thinking of it is not like taking time off of work or stepping away from something fun, it’s like trying to take some time off from breathing. I wasn’t an only child (I have three siblings) and I wasn’t lonely, so I’m not quite sure why I developed this sense of spiritual connection to characters…this habit of regarding characters as people I know across some planar divide, who I must write about…but it was something that formed very naturally and automatically. Maybe having a constant chemical imbalance (I’m bipolar), I’ve been seeking a way to explore the various sides of my emotional being, through the emotions of others (those observed in life, through reading and living, and eventually my characters). 3- What forms of writing (short stories, poetry, novels, etc.) and genres do you prefer and why? Something about my characters being full-dimensional people is that they have whole lives. I think I’ve written a total of two short stories myself when it was recommended to me that I try to publish via magazines and such. I don’t really like either of them and oddly enough the short that was nearly purchased(but turned out to be too long for the magazine) was one of the stories written by my character. What that let me know is that writing with an agenda in mind or for the sake of writing isn’t my best form. It has to come directly from the characters. 4- I’ve read books which annoyed me to the point where I wanted to throw them across the room. As a reader, what do you think makes a good story? What is it that makes you want to stop turning pages? The weird thing about me and books I want to throw is that I love them. If I’m riled up enough to throw it, the author did a good job. Of course, that’s only if I’m riled up over things the characters have done. If I’m annoyed with the style or the lack of feeling in a book…the lack of people interacting…I tend to just stop reading it and don’t get very worked up about it. Unless I try to make myself finish it, or something continues to bait me into reading further until I just can’t take it anymore. So, for me a page turner is a book where the characters feel like people, and I feel like I’m seeing and feeling people interact and grow. Honestly, books fraught with intentional symbolism and structure, or any element that was put into the story on purpose tend to not impress me. I can be impressed by the ability of the author to do that, but it’s not really what I’m looking for in a read. Symbolism also tends to get preachy or heavy-handed if it isn’t done just exactly right and typically when an author is thinking about it too deliberately they’re not feeling it(in my opinion). The best messages can be delivered incidentally or by way of something else rather than by deliberate intent. We all relate to different things, so to set out to tell a story about one thing specifically runs the risk of escaping or excluding part of your audience. That doesn’t mean that the author can’t follow the course of things that speak to them the most, but I also believe that the author should learn these things in progress. I believe that characters should be observed and discovered, not made or created. When an author has done the former, I can tell and that’s when I love it. 5- As a writer, what elements do you find are the most crucial to include in your stories? What are your strengths and weaknesses? As I sort of said in the prior ramble, I don’t believe in ‘including’ things deliberately. It’s just not how I write. For me, doing things too deliberately is orchestrating and constructing. In some cases it can lead to processing and packaging. I try to be more raw and organic. Whatever happens, happens. Whoever tells it, tells it. I think, by that philosophy and practice, my greatest strength is in characters. I believe that many of my readers respond to the characters first and foremost, whether they like them or don’t. Even not liking them is positive and precisely what I hope to accomplish; an emotional reaction to the people in the story. Not everyone likes everybody. Successful populations of characters will have people who aren’t unanimously liked or disliked, but who garner a variety of responses and receptions from the readers, just as people do one another in life. So, you will never hear me say that ‘so and so’ was written to be disliked. Even the worst, most destructive antagonist is simply an individual, who happens to be doing destructive and antagonistic things. I’m so sure they have a reason for it. Let’s find out through them and through those around them and affected by them. So, to sum it up, I think my strengths are in conveying people and emotion, and in allowing a natural course. My weaknesses are in planning and in keeping a story at a reasonable length. I’m not worried about planning, since it doesn’t fit with my style. I don’t know if I’m worried about keeping a story at or under 100,000 words, but there are times when I think it limits my audience. They have to stop and consider whether or not they want to invest that much time, which is a lot to ask of anyone. 6- How often do you write? Do you hold to the idea that a writer must write every single day? I write every day; a few hundred to a few thousand words. I do not believe that every writer must write every single day. Everyone works differently. I write because I can’t not write, so writing every day is just part of daily life for me. There was a time in my life where I wrote for 8 to 12 hours straight every single day. This was when I lived alone and didn’t own dogs. People have to develop writing habits that fit their lifestyles and they’re not any greater or less an author for doing it their own way, regardless of how long that has them at their desk. 7- Can you tell us about Raventide? What other projects are you working on? 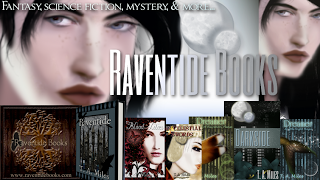 Raventide is the first novel I decided to publish independently. There was no special reason behind it, except it was written and I needed a sacrifice. We (my partner and I) chose Raventide. After the fact, we decided we should have a label. Raventide seemed like as good a name as any and with it being the debut novel, it seemed appropriate. It quickly grew up into a micro publisher. All that really means is that we publish very selectively and not in mass. For now, I’m the only author on the roster, though we do plan to bring in more authors in the near future(as soon as it becomes viable). We branded ourselves as a genre publisher, specifically fantasy and sci-fi with emphasis on sociological and emotional. What we really want is to create a reputation for introducing readers to people, Four (or full)-dimensional characters, we call them; characters who have a physical presence, a mental presence, an emotional presence, and a spiritual presence. These are the characters who you invest your concern in. When they’re upset, you cry with them or want to comfort them, or maybe you want to shake them because they cry too much and you can’t stand to see them being upset all the time. When they laugh, you laugh with them…or you don’t think what happened was funny, so you tell them to shut up or you roll your eyes at their terrible jokes that are kind of endearing anyway. Whatever the case, you’re right there with them. Raventide Books is on the lookout for these types of authors. We’re also hoping to support other independent artists in whatever ways we can, so Raventide Books will often help promote other authors or musicians, sometimes filmmakers, at random. We’re also running a contest through my blog, The Immarcescible Word. The premise behind it is simply to provide another place for writers to showcase their imaginations and also we hope to eventually have other published authors or independent visual artists donate prizes, which also helps gain them attention. Apart from the development of the publishing as a business, I’m working on several novels at once. 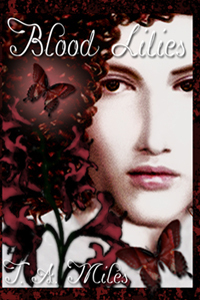 Blood Song, the sequel to Blood Lilies, will be out this fall. 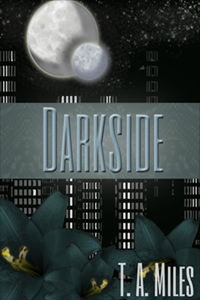 Dreamdance, the sequel to Darkside, will be out shortly thereafter. We also have a couple of stand-alones to get ready and the next in an epic fantasy series. That means I have a lot of cover arts to get done as well…and trailers to put together, ugh. 8- What do you find is the most difficult aspect of writing and how do you cope with it? The most difficult aspect of writing is time management. The days where I did nothing but write all day long are a thing of the past. Now I have to be involved in life(marriage, hound raising, running a small business…). I have to maximize my time for writing while still getting all of the other things done. 9- Who are your favourite writers and why? For a writer to catch my attention as a writer they typically just have to be sincere and humble. If an author is too busy about the ‘business’ of writing or too self-assured that their work is awesome with a side of sauce, I will probably pass on their books. Oddly enough, with independent publishing being an up and coming option, it’s much easier to get an idea of ‘who’ is behind the book than with traditional publishing. While I want to say that’s not important, I can’t deny that I have a better feeling about purchasing and reading a book when I can sense the enthusiasm and spirit behind it. That said, as a child my favorite authors were Lewis Carroll and John Bellairs. They’re still among my favorites for the balanced innocence and courage in the young protagonists and the elements within the story; Alice’s dealings with nonsense that may have been her own subconscious in the Wonderland stories and the air of mystery and supernatural in the Bellairs books. As an adult, I found a similar spirit to Carroll in Neil Gaiman; Neverwhere in particular. I’ve also read a lot of Poe, whose writing is interesting to me for its exploration of emotional and mental health. I feel that there’s a lot to be read between the lines of Poe as well as stated directly. The only author, other than Bellairs, whose work I’ve bought simply because they wrote it is Paula Volsky. I’m not even certain what it is exactly, but there’s something about her stories and her storytelling style that connects. I feel immersed in her world and involved with her characters. 10- What advice would you give to new writers? I’ve said and will continue to say to new writers, write. Hone your skills. Practice, practice, practice. Put emotion into it. It’s the same as learning to play an instrument. Even if you have natural talent, if you don’t practice, you’ll never bring it to its full potential. And when/if it comes to publishing, choose the path that feels right to you, whether traditional or independent and go at it fearlessly. The worst that will happen is someone will tell you you’re writing isn’t good. The best that can happen is that you’ll defy that person’s opinion by continuing to write and ultimately sharing your art however you choose to share it. 11- How can readers get into contact with you? Email (tamilessheehan@gmail.com), Twitter (@Jossaryn), Raventide Books directly(raventidebooks.com), G+ (T.A. Miles), pan-dimensional emissary, whatever works. I love to hear from readers, but be warned I’m liable to ramble about characters and you never know when one of the characters might do the talking instead of me. T.A. thanks so much for sharing with us today! The more you reveal about yourself and your writing, the more I want to find out. I think I’ll have to book you for a Part 2. 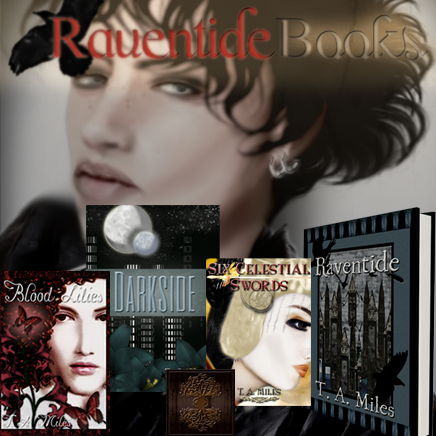 🙂 I also hope that new Readers will look into Raventide Books and The Immarcescible Word to see how they can get involved. Best wishes on all your future endeavours! Great Interview! I like the style and the connection TA feels with her characters. Awesome! Oh thx! 🙂 And I’m so glad you could appreciate TA and her approach to writing. She’s a great person and I was privileged to work with her.